The CeraVe Moisturizing Lotion is considered one of the best skin hydration products available in the market. But first let us discuss a little about the importance of skin hydration. Hydration of the skin is not only important because it makes your skin visually more beautiful, but because a hydrated skin surface creates a small layer that protects your skin against the environment. So you’re not only avoiding dry, flaky and red skin you are also protecting your skin from the bad stuff in the air. One of the key ingredients to help this layer of protection and keep the skin moisture is Hyaluronic acid, on this study review it is discussed how Hyaluronic acid is an effective ingredient with the properties to retain water and its ability to be easily absorbed by the skin. What it all means is that Hyaluronic acid is an effective tool for aging and dry skin since it has the ability to hold water and keep the layer of the skin well hydrated, leaving you with a smooth soft skin surface. This CeraVe lotion not only has Hyaluronic acid, but it also has 3 vital ceramides the skin needs to help restore and maintain its natural protective barrier, they help keep the skin hydrated, so you only have to apply the lotion once a day. Hyaluronic acid based products absorb easily and quickly to the skin, which means no greasy feeling or shiny look. While a lotion, it is designed to not clog your pores, so acne sufferers need not worry. 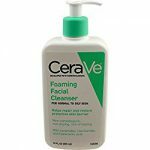 CeraVe is among the most popular skin care products brands with trusted positive feedback and reviews. 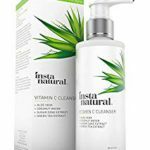 The thousands of reviews and feedback about this lotion prove that this product has been working for many people. Wash your face thoroughly with your favorite soap or acne wash before applying, pad dry your skin before application. You can also use it after applying any acne product you use or simply apply it at night or in the morning after a shower. If you are using it after applying your acne product, make sure the acne product is dry on your skin before adding the moisturizer. Just like any product, apply in circular motions until it dissipates on your skin. A few pumps will go a long way, so no need to go crazy applying too much product. You will most likely see results within a few days this stuff just works, but if you notice your skin is dryer or red it could be an allergic reaction and is best to stop using the product, of course this doesn’t often happen, but when trying a new product always be in the look out for negative side effects. If you need more tips, tricks and information on other products always be sure to check out the Acne and Scars page. If you’re looking for solutions for wrinkles and fine lines the Red/Dry Skin has lots of products on this too. Take a look at the CeraVe Moisturizing Lotion, this amazing product not only moisturizes your skin, but it will also help protect it from the environment. Hydration is important not only because it helps make our skin more visually appealing, but it is also a very important step to keep our skin tight, smooth and young looking. Don’t think because of your age your skin does not need hydration, keeping your skin well moisturize now is a great step for continuing to have a beautiful skin for many years to come. Isn’t it time to take better care of your skin? the solution is here. 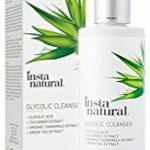 If you have any questions or comments please don’t hesitate to write and I hope this product will help on your path to a Beautiful Clear Skin. I have been thinking of changing my lotion because it causes my skin to bleach. So I think I will give this CeraVe Moisturizing Lotion a trial. But hope it will be nice for my dark complexion and there will be no side effect or is there any for people with dark complexion? That’s not a good side effect from a lotion. This moisturizing lotion is very mild and effective, there are many users with dark complexion that haven’t had any effects, so it will be fine for you to use, this lotion will be much better that whatever you are currently using, hope it helps, thanks for reading. Disclosure - Some blog posts or web pages within this site contain affiliate links, which means that I may get a small commission to continue running the site if you decide to purchase anything from a third party. I only recommend products that I either used, tested and/or study.